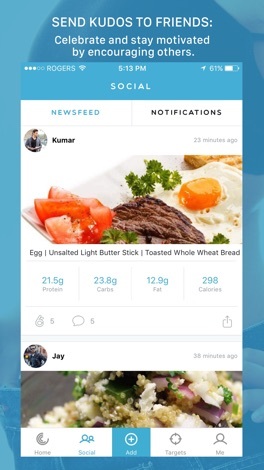 Developer : Kudolife App Inc.
* Thanks for using Kudolife! To make our app better, Kudolife is updated regularly with improved performance, more reliability and bug fixes. Keep the updates turned on in iOS settings for an up to date experience. 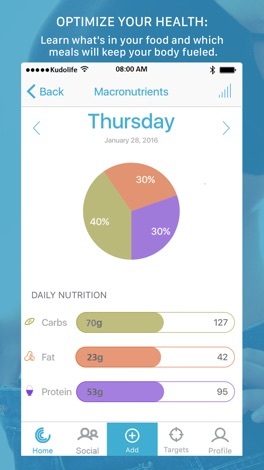 Kudolife is a personalised healthy 7-day meal plan and nutrition app. In addition, it is also an activity tracker, calorie counter and glucose monitor. Get the benefit of having a variety of healthy meal plans provided to you. All 7-day plans are nutrient balance and are personalize to your specific tastes and needs. A roster of health professionals that include nutritionists, dietitians and health conscious chefs are behind all healthy recipes. 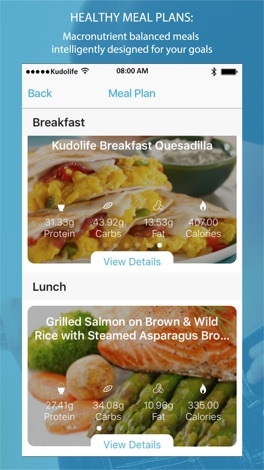 Healthy eating could not be any easier with Kudolife. Enjoy delicious and nutritious meals all week long. Get 28 recipes for every meal plan that includes great tasting breakfast, lunch, dinner and snacks. Each meal is provided with nutritional values so you know exactly what you are eating. Never need to worry about finding new ideas for meals. We got it taken care of for you. Simply pick a meal plan and get recipes that are easy to prepare. All recipes are created to help you prepare with ease. Every meal plan includes instructions with included photos and videos from influencers in the health field. Your overall health is important to Kudolife. That is why we include an activity tracker to monitor your everyday cardiovascular activities. 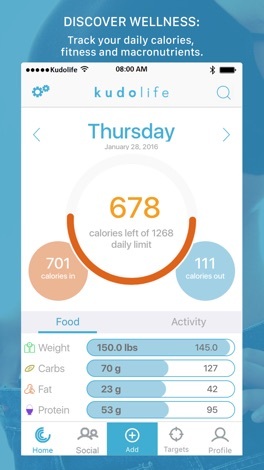 A calorie counter so you know when not to exceed your body mass. We included a glucose monitor for pre-diabetic and people with diabetes to monitor your intake of sugar. This is our pursuit to give you the power of information to make a difference in your health. 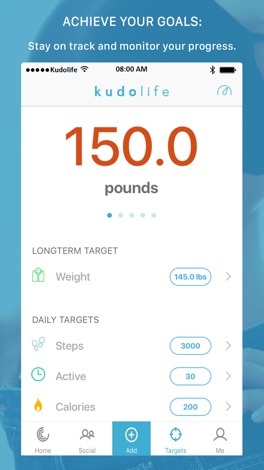 HealthKit data is integrated with Kudolife for the glucose tracking. Activity tracking is available only with iPhone 5S and later models. Make sure to enable 'Fitness Tracking' in iOS settings under Privacy>Motion& Fitness. Cardiovascular activities include indoor and outdoor walking, running and cycling. Complex ERP/CRM solution for commercial organisations. Antique Phone is simulate telephone of nostalgic theme. we are redefined & designed rotary telephone style, it look as funny toy!